Home Our Dogs Two More Lucky Pups Find Their Forever Homes! Two More Lucky Pups Find Their Forever Homes! 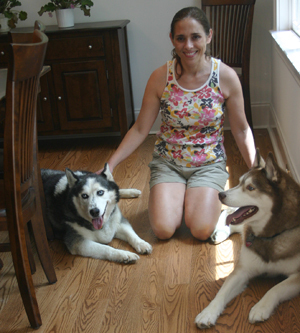 I’m delighted to share that 2 more lucky MaPaw pups have found their forever homes and both have MaPaw alum sibelings. Jasper was adopted on July 14th. 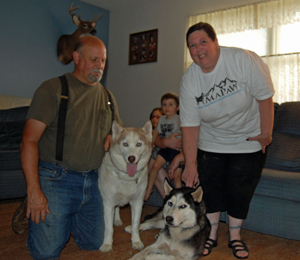 Blaze had been adopted in October 2011 from MaPaw, but due to life changes his family had to find him another family. He has the greatest personality and loves everyone he meets (and everyone he meets falls in love with him). When Trudi’s human Mum decided she was ready to add another Sibe to the pack, she decided Blaze was the one. Blaze is a happy guy that now has 2 Sibes and a Golden Retriever to spend his days with. Blaze was adopted on July 15th. Congratulations to both boys! We are so happy for you and know that you both will be spoiled and loved.